< The Great Lord of the Rings Cake Off! 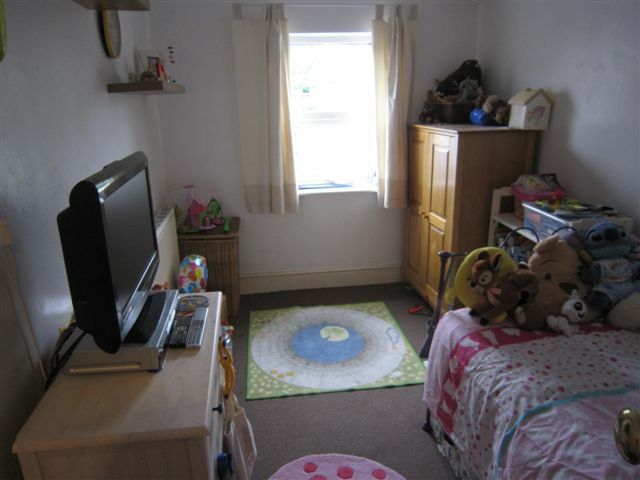 I was recently challenged by Moneysupermarket.com to redecorate a whole room for the princely sum of £50 as part of their Room For Improvement Competition! My daughter’s bedroom has been on my to-do list for quite some time, so this seemed like the perfect opportunity to launch in and get creative. 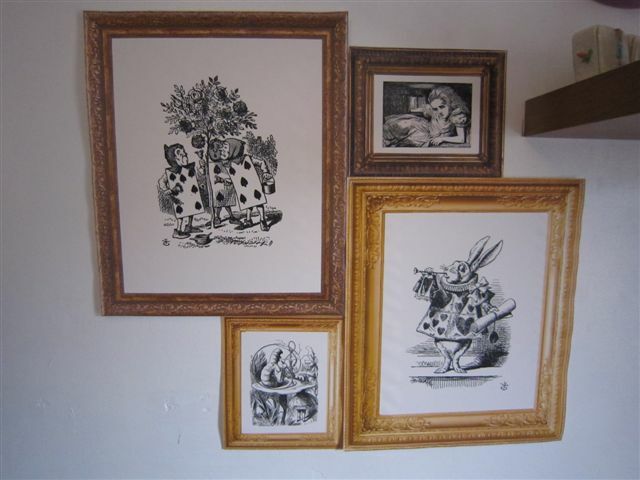 To turn this into an Alice in Wonderland haven! My daughter loves her room and more importantly it cost very little. The biggest tip to redecorating on a budget is to get creative and get stuck in, don’t buy anything ready made, alter and adjust, revive and reuse and you can change a surprising amount. Here’s how we completed this room. Stop! Don’t buy new furniture, paint your old! 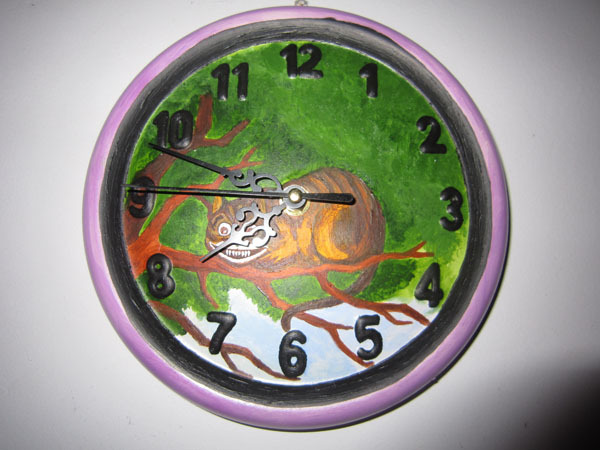 In my case I actually reused paint I found in my cellar so it cost me nothing at all. Many of us have pots of paint lying about in cellars and garages, even if you don’t have enough in one tin mix a few together and make your own custom paint. 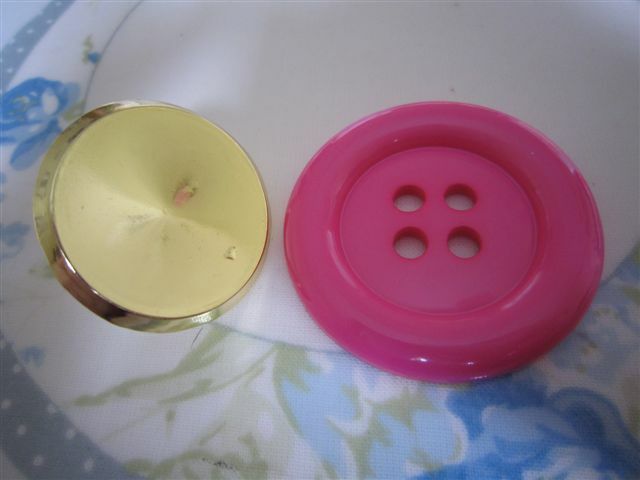 I did buy these wonderful giant plastic buttons from a local market stall, they cost £5.20 in total. 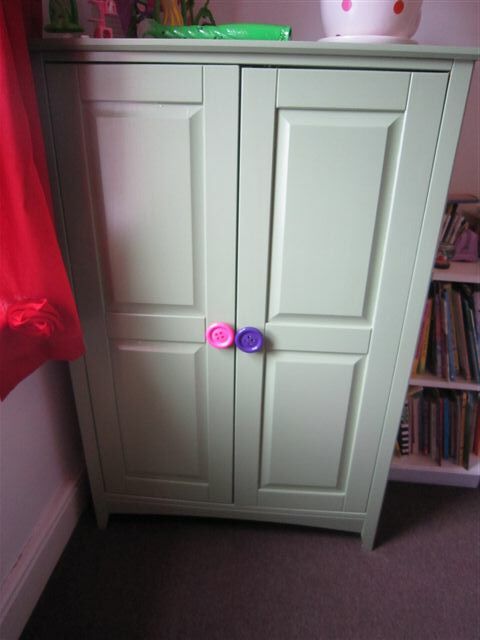 I removed the old drawer handles and super-glued the buttons on top, fabulous one off buttons! I replaced the curtains for the bargain price of £5.59 from Argos the special offer on them has unfortunately ended, but even at their standard price of £13.99 they are a good deal. Admittedly they aren’t terribly thick, but linings can be bought at a later date if you require them. As they are a deep red I don’t feel I need them. 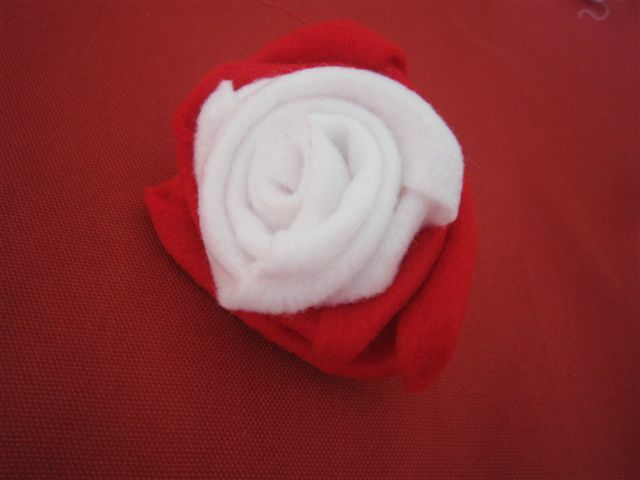 To stick to our theme I cut up some long strips of red and white craft felt and made Roses. These were then stitched to the curtains by hand. 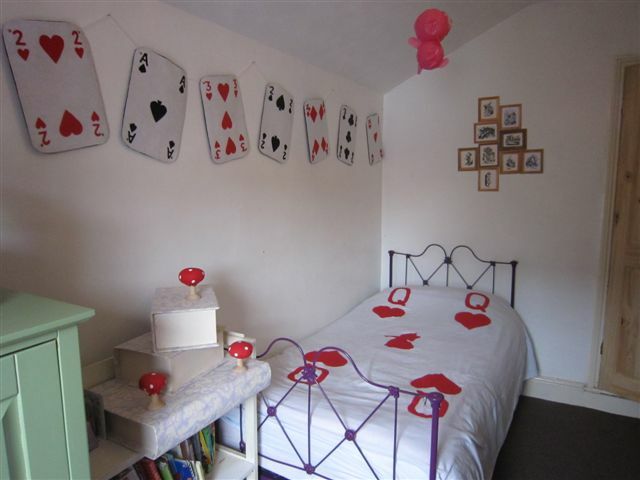 I spent just a few pounds on the felt, you could also use old clothes, sheets, whatever is available. Appliqueing is another cheap way to add interest to otherwise boring curtains. Brand new bedding to match your new room can be costly. 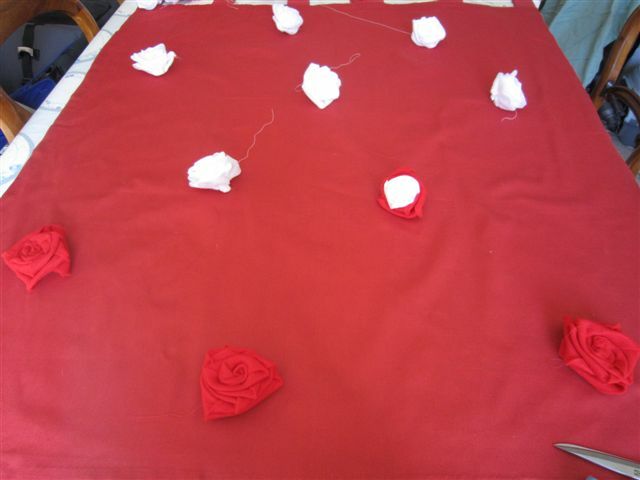 Instead consider making a cover or blanket that can be thrown over your old bedding. 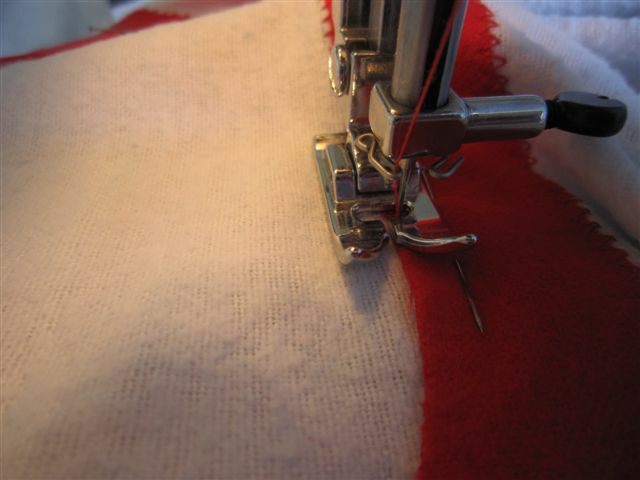 You don’t even need to be accomplished at sewing. I grabbed an old flat flannel sheet (instantly the perfect size for your bed!) out of the linen cupboard to make my cover. 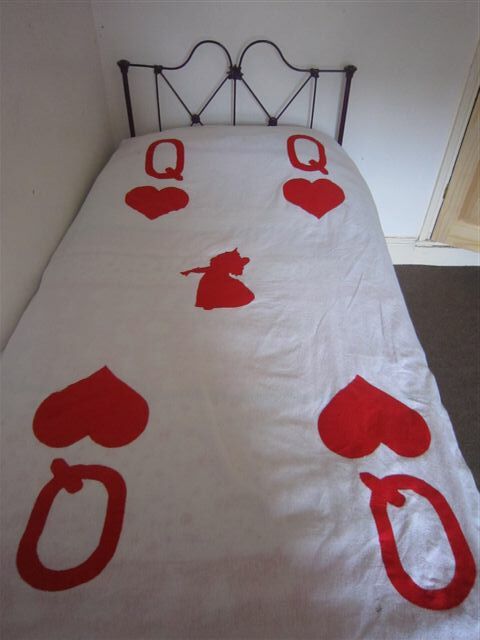 I then appliqued hearts, Qs and a Queen to make a giant playing card 🙂 I bought small pieces of flannel fabric for my applique. A feature lamp can really add to the overall theme of a room, but I wanted one that was inexpensive and child friendly. 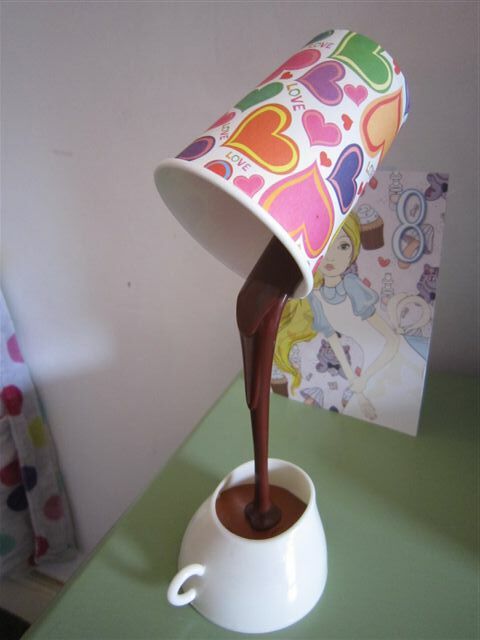 I found this wonderful battery operated lamp on Amazon for just £4.68 + £2.99 P&P. It can also be bought on eBay. Of course it may not last long, but we think it’s great (especially for the price!) Remember to check sites like eBay and Amazon for deals, especially items coming direct from manufacturers in China. Storage will instantly tidy up a room while adding to the overall feel. 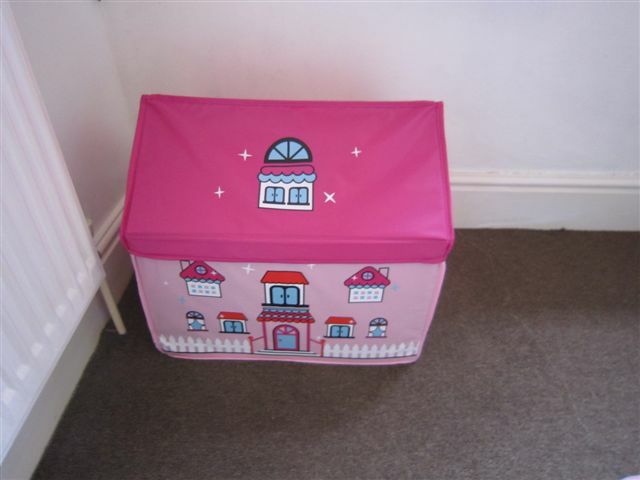 I spent just £12 at Tesco to receive this whimsical house themed box (I’m sure Alice is stuck inside there as we speak). I even had it delivered to my local store to avoid P&P charges. Those finishing touches that finish a room need not cost the earth. Make your own or do as I did and ask family and friends if they have anything they no longer need. The giant playing cards that adorn my daughter’s wall are in fact left over pieces from a Yarn Bombing project for the Olympics and Derby Feste. They were made by gluing felt pieces together. 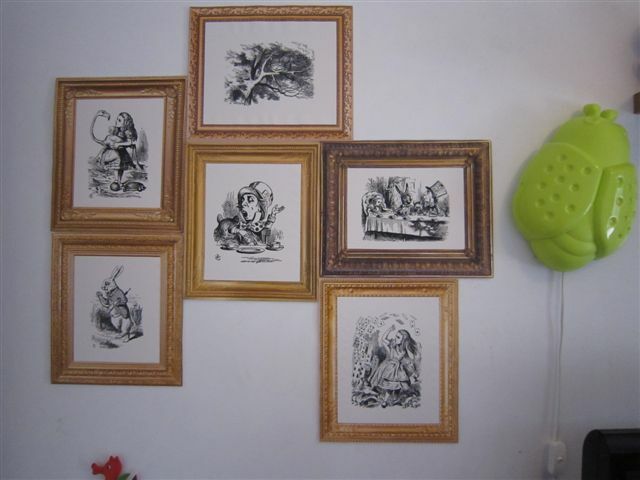 The wonderful pictures in their ornate frames are actually print outs, put on the wall with blue tack. They were made by my sister in law for a party and had been sitting in her garage ever since. Unless you look closely you really could believe the frames were real. 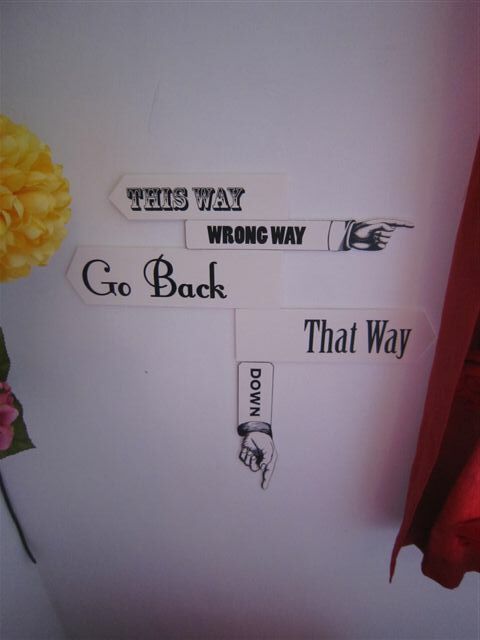 The sign post…another fake printed out on simple paper! The great thing about these decorations is they are not precious around little hands. My biggest expense was the giant flowers. I spent £4.99 for my massive Calla Lilly which came from Home Bargains. 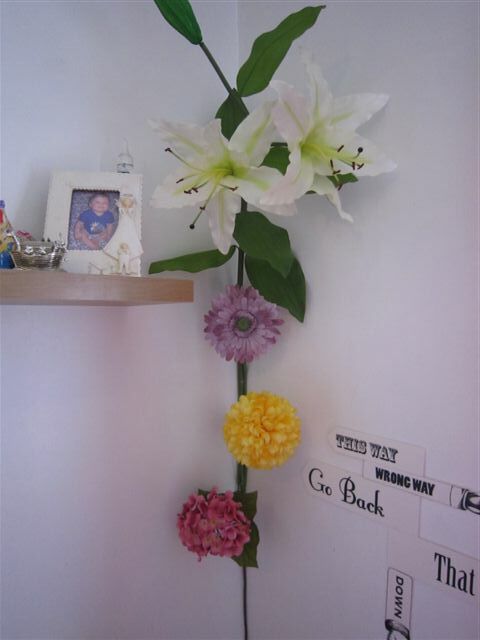 The extra flowers came from Wilkinsons where they were on offer at 3 for £3. Check out the Money Supermarket Pinterest board to see what others spent their £50 on. 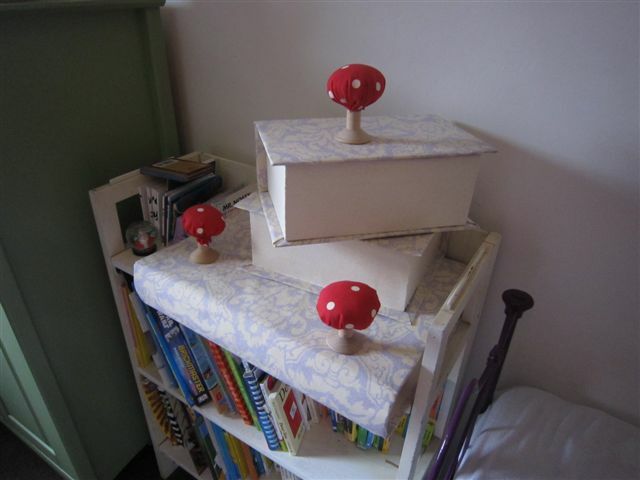 This entry was posted in Tutorials, upcycling and tagged £50, alice, alice in wonderland room, bedroom, book box, button handles, cheap, decorate, giant, giant book, giant flowers, house box, house storage, less than, make your own buttons, makeover, money super market, moneysupermarket, oversized, redecorate, room, room for improvement, room makeover, rose curtains, tutorial, under £50, whimsical, wonderland, wonderland room. Bookmark the permalink. 7 Responses to Redecorating a whole room for £50! 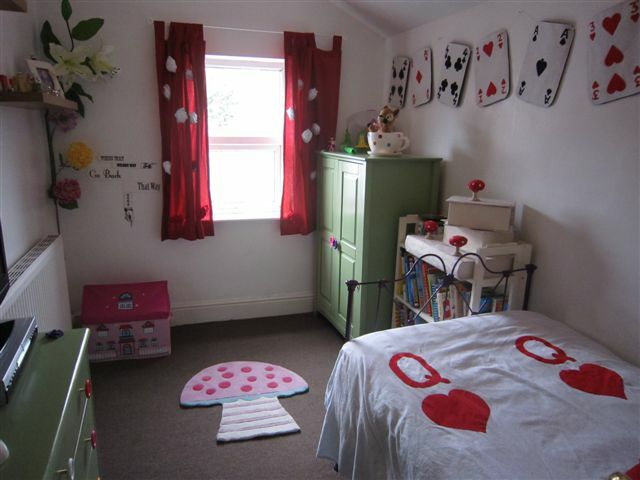 What a lovely room, I would love this even as an adult! It’s good to see what you can do with a little money and some creative thinking. You know when you see a wedding and just don’t know what to say because its just spell binding… yup. I think your makeover is absolutely brilliant, such wonderful ideas. 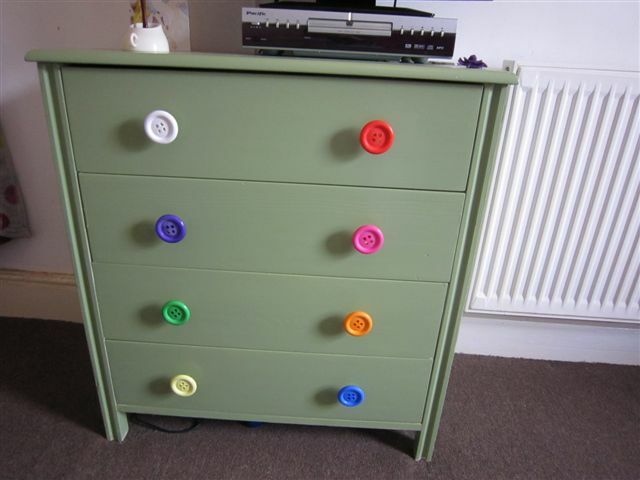 Love the button drawer knobs, actually – I love everything, well done!